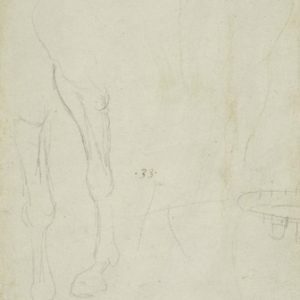 A study of a horse rearing in profile to the left, with its neck thrown right back; a rider is cursorily sketched. 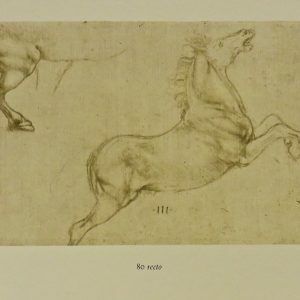 The horse’s head is indicated in at least three positions, and the fore-leg is indicated in two positions. 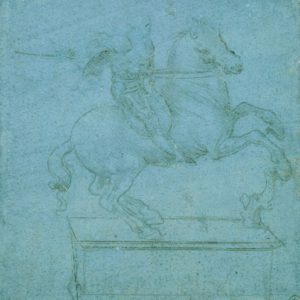 Below is a smaller drawing of a horse rearing in profile to the left, with vague indications of a rider. 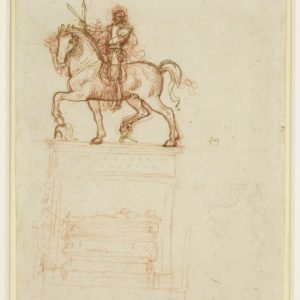 In 1503 Leonardo agreed to paint a mural in the Palazzo della Signoria in Florence, depicting the Battle of Anghiari, a celebrated Florentine victory of 1440. 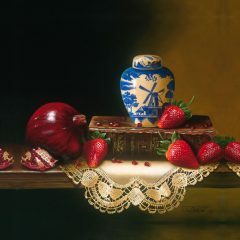 Only a portion of the painting was executed, and this was destroyed or obliterated a few decades later. 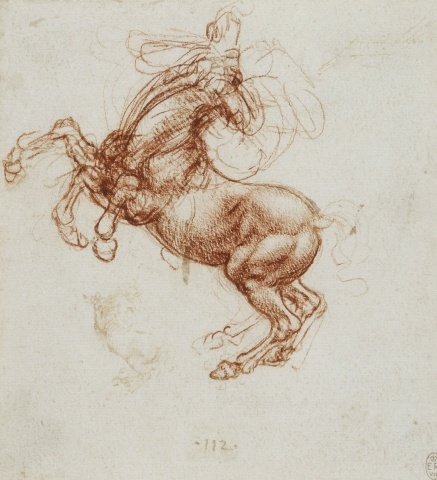 Leonardo made many studies of horses for the project, including this dynamic sketch of a rearing horse, its head in three alternative positions, with a further small faint sketch below.